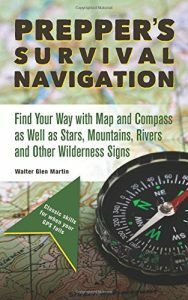 Prepper’s Survival Navigation is an easy-to-understand primer on time-tested navigation techniques that work when your GPS fails. Born in California Walter “Glen” Martin was raised at the base of the Strawberry Mountains and later near the Cascade Mountain rage of Oregon. He spent his youth as an avid hunter and fisherman. Knowing well how to live off the land it was not uncommon for Glen to head up into the mountains often alone on a hunting or fishing trip with little more than his rifle or fishing pole. Always restless, after college where he earned his degrees in architecture and mechanical drafting Glen spent the next 30 years in several western states and Alaska as a design consultant. 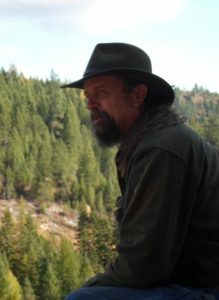 Now living in the mountains of Northern Idaho with his fiance Glen has settled into an off-grid lifestyle where he owns and operates PrepperBroadcasting.com a 24/7 internet radio station broadcasting over 50 “How To” shows devoted to self-reliance and independence. When not at his desk you may or may not find Glen exploring somewhere in the mountains of Northern Idaho.